Dent village is central to the most picturesque scenery in the United Kingdom. 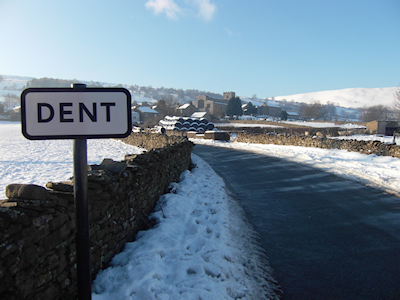 Not only is Dent in the beautiful Yorkshire Dales it is also within driving distance of the Lake District. The best of both worlds!! Nidderdale in the EASTERN DALES is an Area of Outstanding Natural Beauty, a wonderful blend of green meadows and wind swept Heather clad tops. From the River Nidd, on the slopes of Great Whernside https://www.threepeakschallenge.uk/yorkshire-three-peaks-challenge/whernside , Nidderdale runs through to Ripley. To the East is Stump Cross Caverns http://www.stumpcrosscaverns.co.uk/ , a superb show of stalactites and stalagmites. Double winner of Britain in Bloom, Pateley Bridge http://www.pateley-bridge.com/ has traditional pubs and tearooms. Masham boasts two famous breweries, Black Sheep https://www.blacksheepbrewery.com/ and Theakston http://www.theakstons.co.uk/ . For the energetic there is the Nidderdale Way http://www.gps-routes.co.uk/routes/home.nsf/routeslinkswalks/nidderdale-way-walking-route , a 53 mile waymarked circular walk which takes in many of the Dales highlights. The WESTERN DALES was a noted favourite of Wainwright https://www.wainwright.org.uk/ , the magnificent Howgills offer both quiet fell walking and less strenuous rambles. Garsdale, with high, wild moorland on the tops will chase away those cobwebs. And of course theres Dentdale http://www.yorkshirenet.co.uk/yorkshire-dales/dentdale/ , a hidden secret gem of lush meadows dotted with farmsteads. Cautley Spout http://where2walk.co.uk/yorkshire_dales/dales_summits_walks/the-calf-via-cautley-spout/ cascades an impressive 200m in less than 1/2 mile in a series of waterfalls beside Cautley Crag . Set on the fringe of the LAKE DISTRICT the thriving town of Kendal http://www.visitcumbria.com/sl/kendal/ is home of the famous Mintcake http://www.mintcake.co.uk/ . Visit Kirkby Lonsdale http://www.kirkbylonsdale.co.uk/ , in the valley of the River Lune. Search the many speciality shops or have lunch in the 17th and 18th century inns. Up in The Lakes and Windermere http://www.visitcumbria.com/amb/windermere-lake/ with its lake cruises and world of Beatrix Potter http://www.hop-skip-jump.com/ . Ambleside with its many interests, Homes of Football, Rydal Mount and Gardens. Dove Cottage https://wordsworth.org.uk/visit/dove-cottage.html and the Wordsworth museum https://wordsworth.org.uk/visit/the-wordsworth-museum.html at Grasmere. Travel to Coniston and take a cruise on Steam Yacht Gondola https://www.nationaltrust.org.uk/steam-yacht-gondola , calling at Brantwood, the home of John Ruskin http://www.brantwood.org.uk/ . Then Ullswater and enjoy the stunning views of the Lakeland fells and take a walk at the spectacular Aira Force https://www.nationaltrust.org.uk/aira-force-and-ullswater . 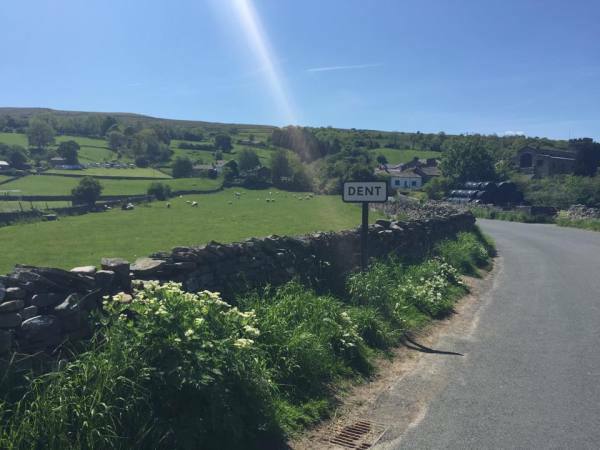 WHETHER IT'S THE DALES OR THE LAKES, DENT IS THE IDEAL LOCATION TO ENJOY BOTH OF THESE AREAS OF OUTSTANDING BEAUTY. THEN AT THE END OF A LONG AND ENJOYABLE DAY, HEAD BACK TO THE COMFORT AND WARM WELCOME OF DRAGON COTTAGE. HOME FROM HOME! !